The Honda CB Shine has been one of the most popular motorcycles from the Japanese manufacturer. It is also the best selling 125cc motorcycle in its segment. Powering it is a 124.73cc single-cylinder engine which makes 10.8PS of power and 10.3Nm of torque, mated to a 5-speed gearbox. Honda claims a mileage of 65kmpl for the CB Shine. The Shine starts from Rs 58,097 for the drum variant and goes all the way up to Rs 63,316 for the disc and CBS variant. Honda CB Shine prices start at Rs. 57,779 (Ex-Showroom) and the top end variant Honda CB Shine Disc CBS is priced at Rs. 63,316 (Ex-Showroom). Honda CB Shine is available in 4 variants and 6 colours. The claimed ARAI mileage for the Honda CB Shine petrol is 65 kmpl. 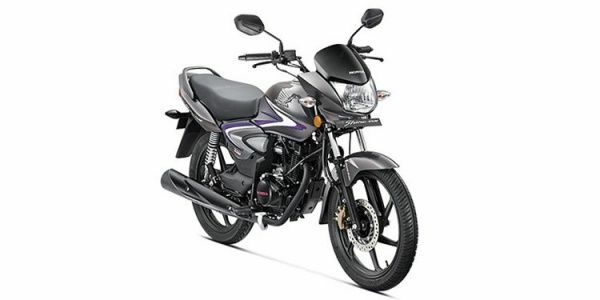 The Honda CB Shine 125 brings excellent rideability and comfort for city riding along with decent fuel economy. Market leader in the 125cc segment, the Honda Shine has been raking in solid numbers for Honda ahead of any of its other 125cc rivals. Practical and frugal, the Shine is extremely suitable for city commuting. The Honda Shine is the undisputed king of the 125cc segment and also holds the tag of being the highest selling Honda motorcycle in India. The Honda Shine isn’t going to win any beauty pageant with its styling as the design language is very neutral and that has been done to appeal to the masses. Honda, though, have added vibrant colour options and restyled graphics to increase its visual appeal. The Honda 125cc bike has simple lines and uncluttered design while the alloy wheels do give it a bit of modern touch. The bike employs an analogue instrument console that signifies its commuter nature. Talking about features, the 125cc motorcycle gets CBS (combi-brake system) and tubeless tyres. It is powered by a 125cc air-cooled engine that produces 10.2PS of power and 10.3Nm of torque. The Honda CB Shine is offered in three variants which have been priced between Rs 55,858-61,047 (both prices are ex-showroom, Delhi). The bike employs telescopic front forks and twin shock absorbers at rear to handle damping duties. Braking is done by drum brakes on both wheels while disc brake at the front is an optional extra. The Honda CB Shine weighs 123kg and has a fuel tank capacity of 10 litres. Bajaj V15: Bajaj has positioned the V15 as a 150cc bike for the price of a 125cc motorcycle. With its cafe racer-inspired styling, the V15 does manage to stand apart from its rivals, which is among the primary reasons for its success. Performance from the engine is decent while it has a frugal nature. Overall, the Bajaj V15 is a bike that will help you gather some eyeballs like no other commuter motorcycle. Hero Glamour: The Hero Glamour and the Honda CB Shine have been engrossed in a battle for supremacy for many years and it’s the Japanese bike that has won the scuffle. Hero recently updated the Glamour by restyling it to look sportier while adding a bunch of features like start-stop technology and semi-digital instrument console. The Glamour is also offered with fuel injection system and while it has all the makings of a good 125cc commuter, pricing is on the higher side. Yamaha Saluto: Yamaha joined the 125cc bandwagon by riding in the new Saluto a few years back. The Yamaha Saluto with its sharp lines is an appealing motorcycle. But it doesn’t offer the same refinement as its other Yamaha siblings and only makes sense if you’re in the hunt for an affordable and stylish 125cc bike. Bajaj Discover 125M vs Honda CB Shine Comprison Review: In picture!